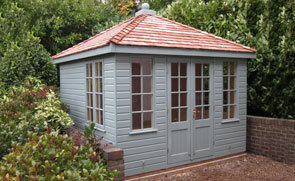 One of our attractive and high-quality superior sheds was recently installed for a customer based in Cheadle, Cheshire. Selected from our range of FSC® certified Scandinavian Redwood timber buildings, the shed was designed and manufactured to order at our Norfolk factory before being delivered and installed by our in-house installation experts. 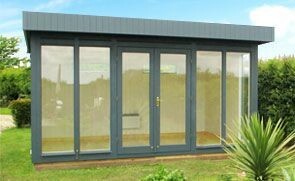 This interesting hybrid building was recently hand-made to order at our Norfolk factory for a customer based in Worsley, Manchester, who wanted a sophisticated and attractive work-from-home office. Measuring 2.4 x 6.0m, this Salthouse Studio was delivered and assembled at the customer’s address by our in-house installations team. This stunning Wiveton was recently selected by a customer from our range of FSC® certified timber Summerhouses as an outdoor entertaining space for summer barbecues and celebrations. Designed and hand-built in Norfolk, the building was then both delivered and installed by our expert fitting team at the customer’s address in Knutsford, Cheshire. 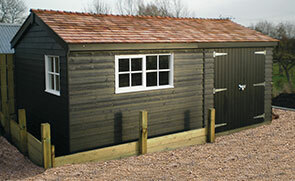 This compact and convenient classic shed was recently installed for a customer based in Rochdale, Manchester. 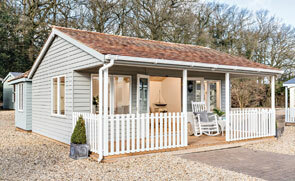 All of our Classic Sheds are designed and hand-built at our Norfolk factory using only the finest, highest quality FSC® certified timber and then both delivered and installed by our expert installation team.